Wow, like double wow………This is some real deep stuff between Skales and Wizkid. This beef sprung out of nowhere and it’s hot like fire. Make sure you bookmark this article and share after reading. Not too long into today, former EME act, who is now signed to Baseline Music, Skales launched an attack on his former label mate Wizkid. In a series of tweets on Twitter, Skales Claimed he wrote songs for Wizkid, Especially ‘Azonto’ and that Wizkid does not support him despite this. 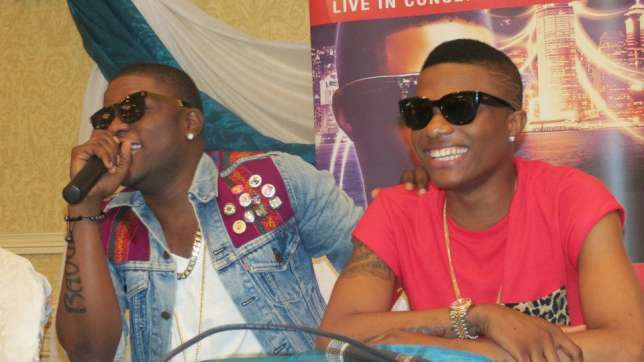 Wizkid on the other hand says that his success fueled Skales’ career in EME. Apparently, everything seemed calm until Wizkid replies. The Star Boy said Skales is merely looking for publicity for his new album Man of the Year. “I know u’re going thru a lot but don’t point fingers at me bro. I made The label money to push all of us ! Don’t forget!” he also tweeted.